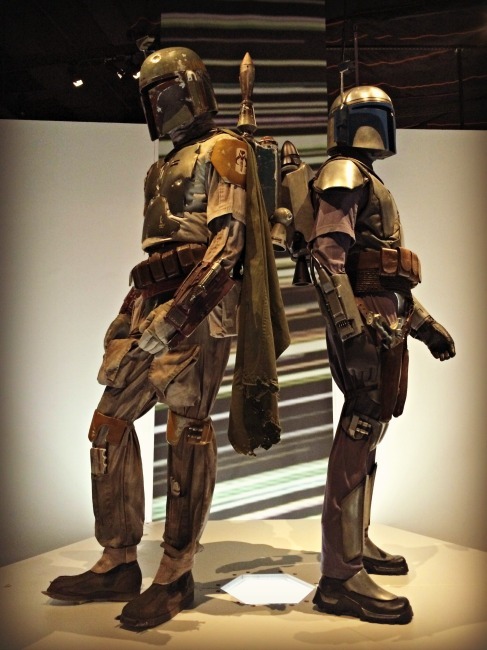 Did you know that Star Wars is at the Cincinnati Museum Center for a limited time only? 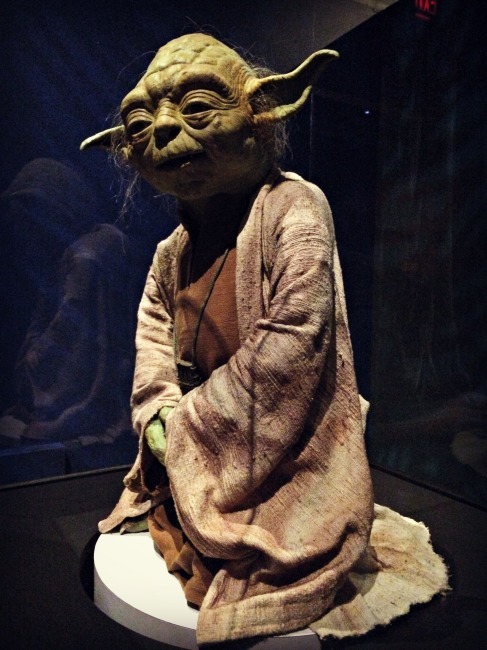 If you are a fan of any sort of the Star Wars movies then I promise you that you will LOVE this exhibit! 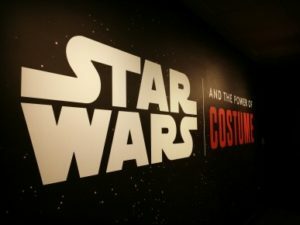 Star Wars and the Power of Costume is an exciting sneak peek behind the scenes of the making of these phenomenal movie. 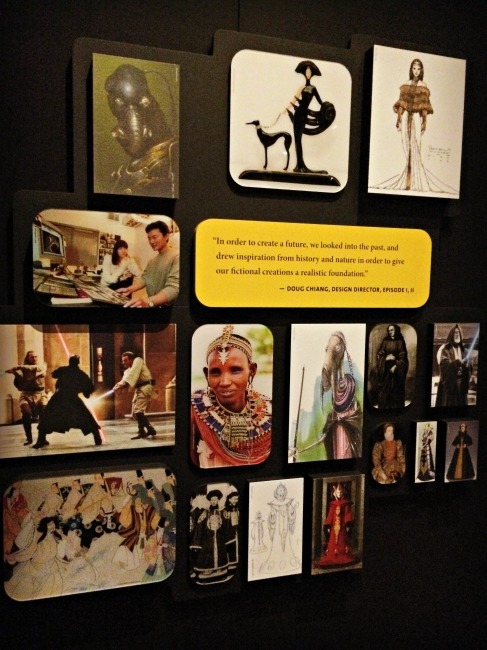 I had no idea that so much thought, research, and attention to detail and history went into the making of each and every costume in each and every episode of the Star Wars collection. 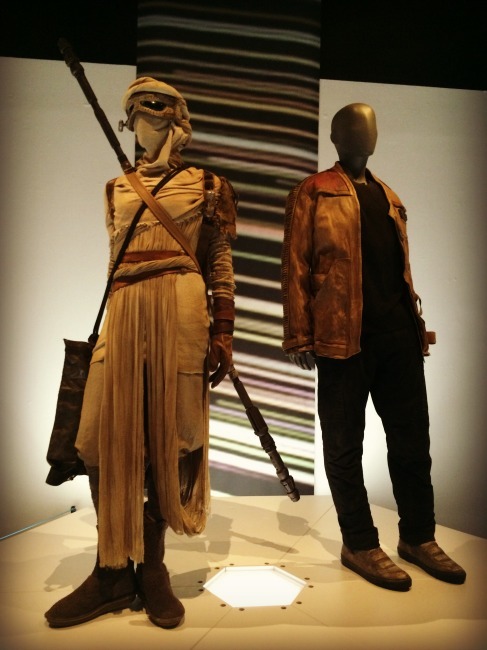 I was a little overwhelmed being so close to these costumes, I almost felt like some of them could just come to life as they were in the movies. 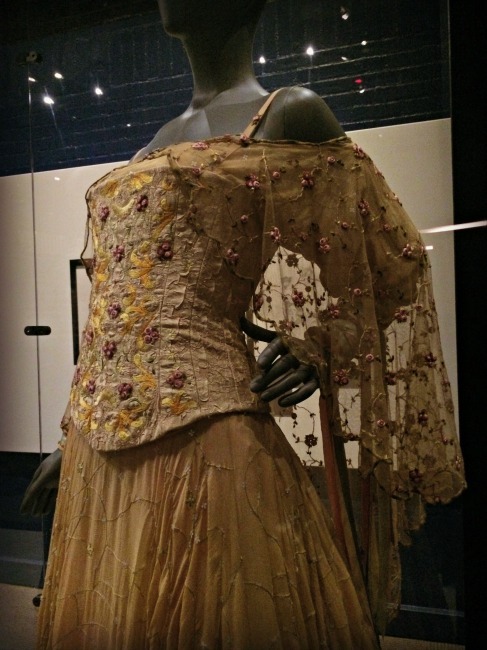 And reading about and watching short films about how the costumes came to be was so intriguing. 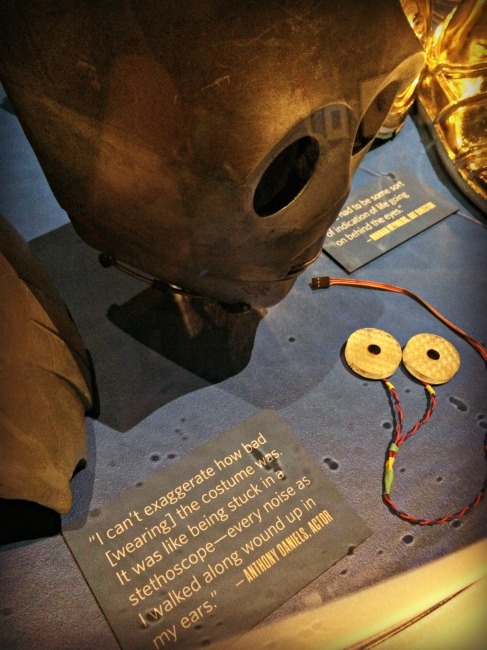 The videos throughout the display let you hear the actors, costume designers and George Lucas himself discuss the making and wearing of the costumes. 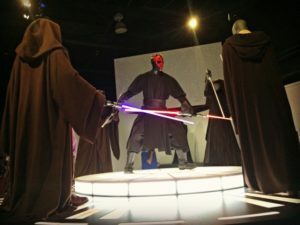 Star Wars at the Cincinnati Museum Center is fun for all ages, and it is a must-see for all fans. 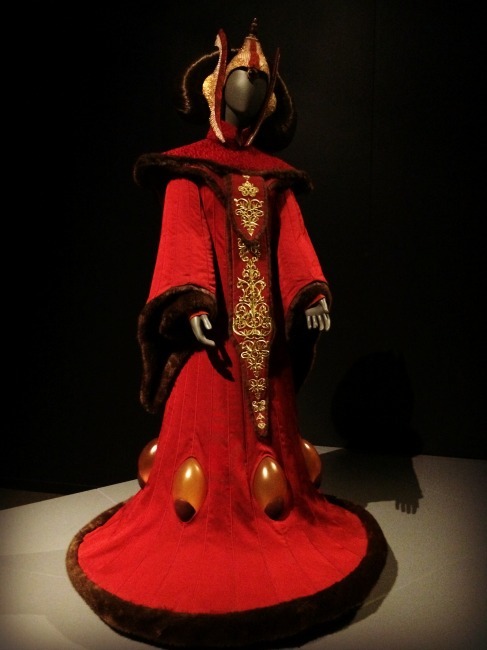 The exhibit has over 70 costumes, from droids to royalty. 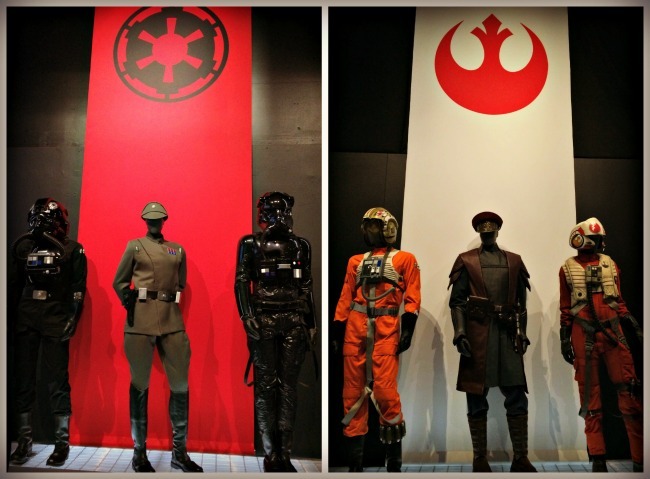 Star Wars and the Power of Costume will be in town through October 1st 2017. 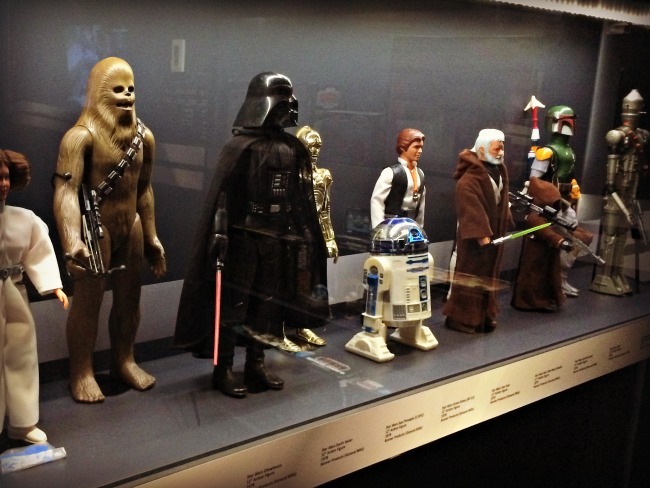 Along with the Power of Costume display there is also an awesome display of vintage Star Wars toys that were made by Cincinnati’s own Kenner Toys. The entire exhibit from star to finish took me way back to my childhood, and made me itch to go home and start a Star Wars movie marathon. 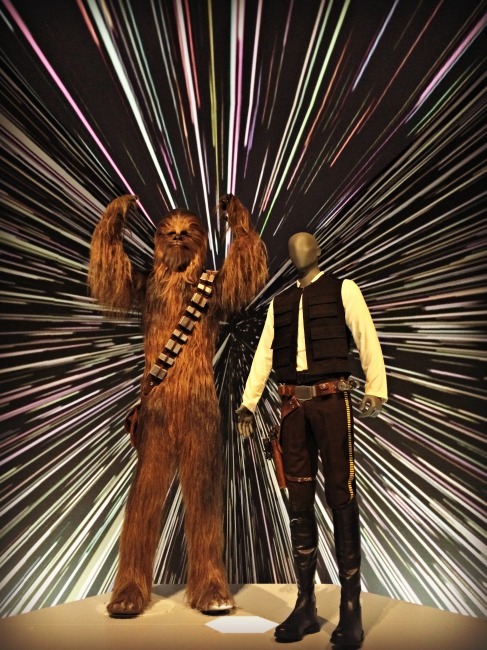 Get all the official details about Star Wars, the Power of Costume below and then start planning your visit before they disappear to a galaxy far, far away! 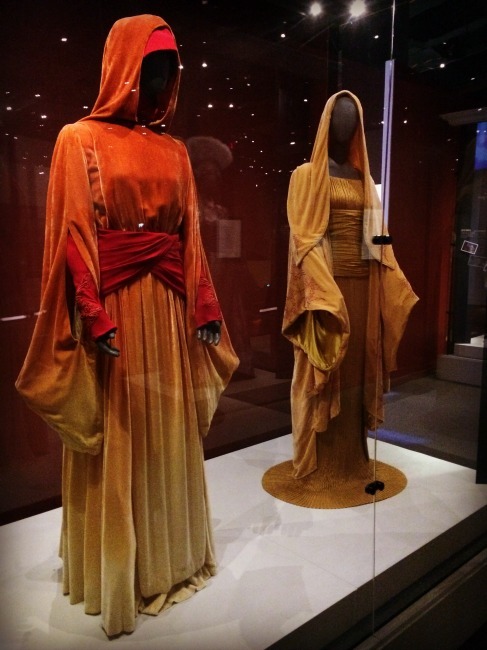 A GALAXY FAR, FAR AWAY – Iconic costumes from “a galaxy far, far away” are presented in the Smithsonian traveling exhibition Star Wars™ and the Power of Costume, now open at Cincinnati Museum Center. 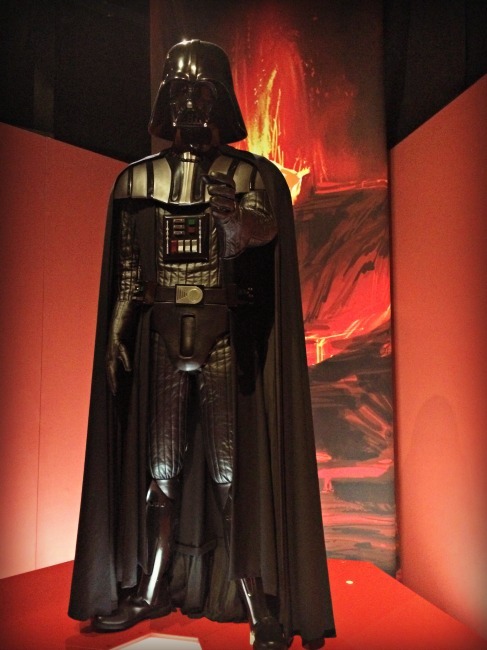 Presenting over 70 of the finest hand-crafted costumes from the first seven Star Wars films, the exhibition uncovers the challenges, the intricate processes and the remarkable artistry of Lucas, the concept artists and costume designers. 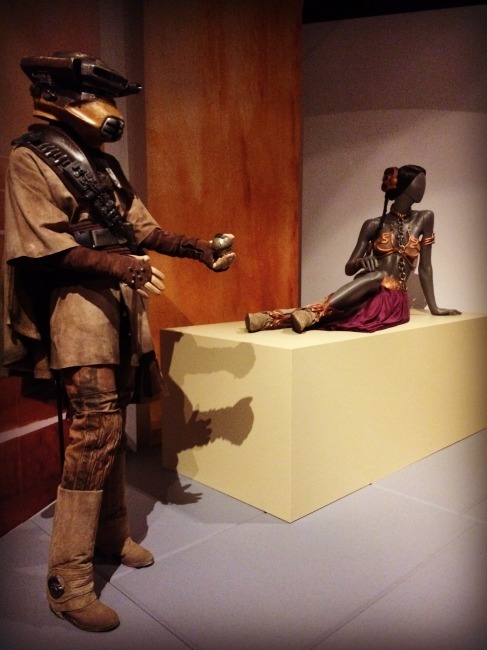 The costumes reflect an eclectic mix of cultural, historical and mythical sources that add rich texture to the story. 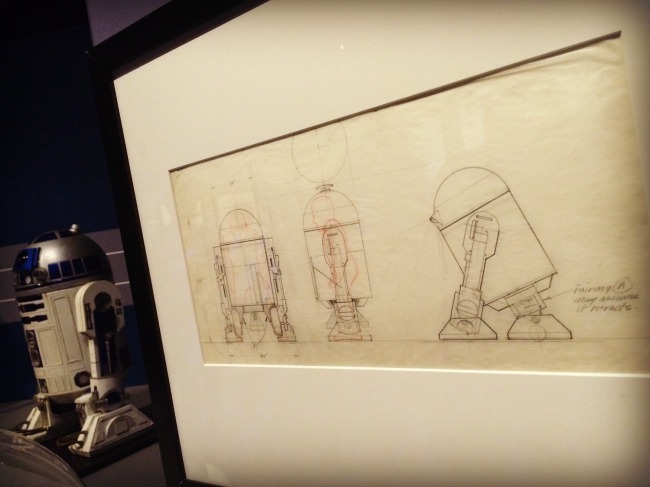 Short films in Star Wars and the Power of Costume provide a behind-the-scenes look at the creative process and include interviews with artists, designers and actors. The visitor experience will be enhanced by digital interactives featuring sketches, photographs and notes that capture the creative team’s inspiration and vision. 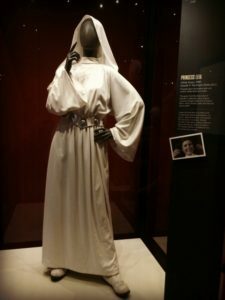 Star Wars and the Power of Costume is open through October 1, 2017 at Cincinnati Museum Center. 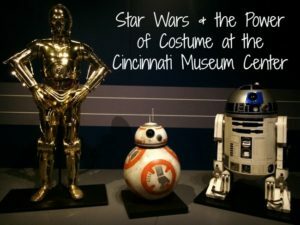 For more information and to purchase tickets visit www.cincymuseum.org/star-wars or call (513) 287-7001. 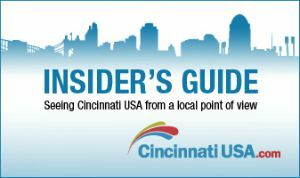 Cincinnati Museum Center (CMC) is helping you relive your childhood and telling the story of how a Cincinnati-based toy company became an overnight sensation. Kenner® and the Building of an Empire features over 150 toys produced by Kenner Products, including the original Star Wars™ action figures produced after the film’s release in May 1977. Using items from its own collections and loans from local donors, CMC has created an exhibition of action figures, playsets, original packaging and marketing materials to tell the story of how Cincinnati-based Kenner Products changed the toy industry. By 1977 Kenner had already made a name for itself in the toy world. Starting with a metal bubble gun in 1947, the Bubbl-Matic, and continuing with the Easy Bake Oven, Play-Doh and Spirograph in the 1960s, Kenner had several beloved toy lines. With the addition of toys like Stretch Armstrong and Strawberry Shortcake, nearly every child had a Kenner toy in their home. 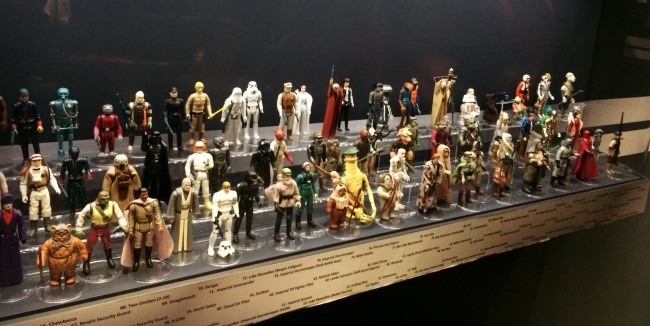 Kenner’s popularity skyrocketed with the production of Star Wars toys in 1977. They received the original license to produce toys for the film after major toy companies like Mattel and Mego Corporation turned George Lucas down. Companies were more interested in multi-season TV contracts than a single theatrical release. Kenner took a chance and signed the license agreement to make Star Wars toys from 1977-1985. Originally planning only to make a small selection of puzzles and games, the company later discovered that the film line was “toyatic”: anything in the film could be turned into a toy. Kenner and the Building of an Empire displays just how “toyatic” Star Wars was. 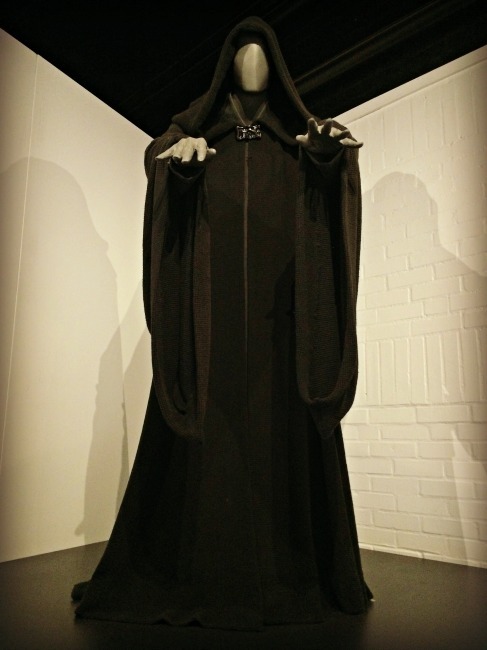 The exhibition features over 100 action figures, including the original run of characters from 1977. 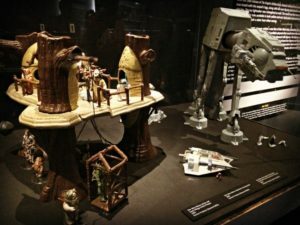 The exhibition also includes vehicles like the Millennium Falcon, X-Wing Fighter and TIE Fighter, as well as playsets like the Dagobah Swamp Base and Hoth Ion Cannon. 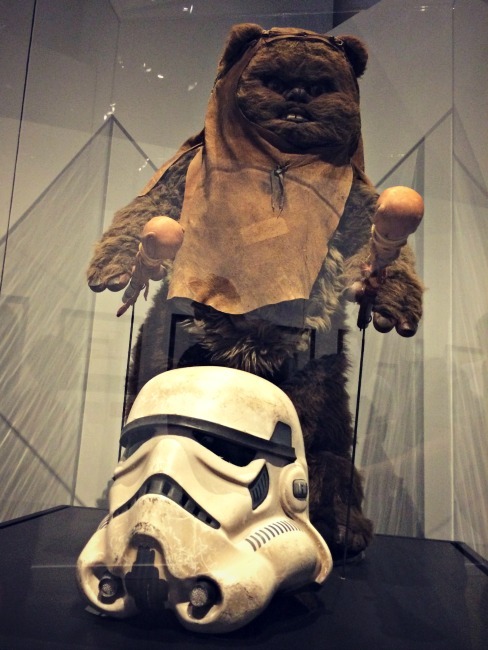 True Star Wars fans may even recognize the Ewok Talking Telephone. Relive your childhood and learn how a Cincinnati toy company changed the industry in Kenner and the Building of an Empire, open through October 1 at Cincinnati Museum Center. The exhibition is included with admission. For more information visit cincymuseum.org/kenner. Disclaimer: I was given complimentary media passes for review purposes, but as always all opinions are 100% my own.